American DJ Duo Michael David and Tyler Blake have taken Nu Disco and totally turned it into a genre worth listening to. These childhood friends will take you through a blend of electronic, new wave, funk, and house that will make you taste and long for this LA style. 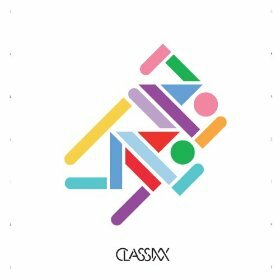 Classixx (previously known as Young Americans) love the future disco and electronic pop sound and have no problem using that synth. “All You’re Waiting For” is a track that has great soothing vocals with an 80’s vibe. “Holding On” is the best track of the album with simple piano riffs and a catchy hook. The tracks on the album vary starting with an upbeat vibe and range to chillout tracks such as, “A Fax From the Beach.” Vocals from the likes of Nancy Whang, Jeppes, and Active Child do justice to the album. Classixx’ first album, Hanging Gardens, was released May 14, 2013 via Innovative Leisure. The Classixx duo have mostly been known for their remixes, but their debut album will definitely keep you on the lookout for this new genre.